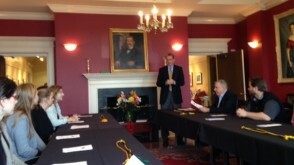 Business education at OWU is significantly different than at a big university. You learn to think differently, so you can stand out from the crowd. You'll benefit from rigorous business classes, real-world experience, and close ties with your professors. 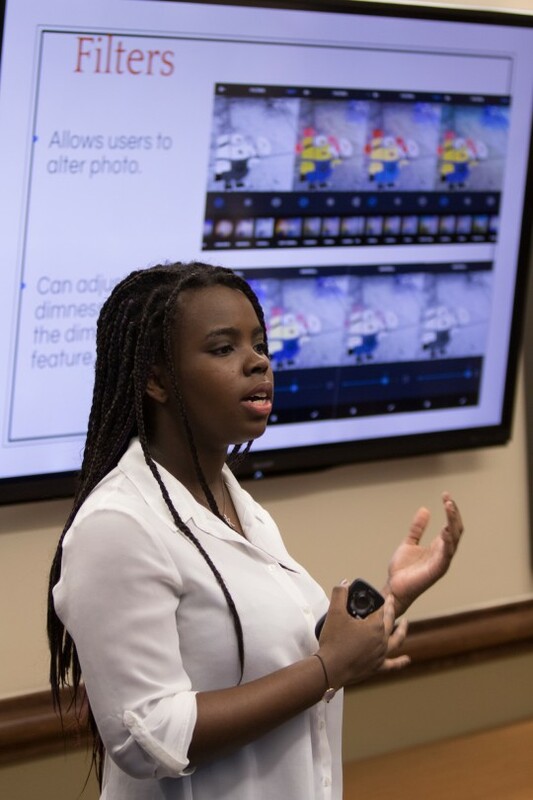 You’ll graduate with solid business knowledge and a liberal arts education that helps you develop the skills that employers crave: critical thinking, decision making, communication, creativity, teamwork, and global perspective. These are also vital skills for budding entrepreneurs. 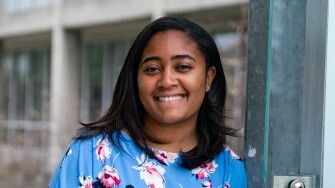 Kera Bussey-Sims ’18 traveled to Seattle to interview leaders at Nordstrom and Amazon on how technology is being integrated into the fashion business. 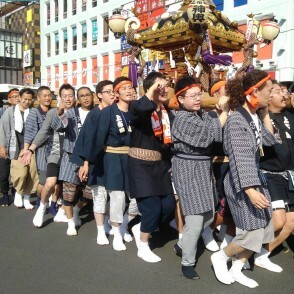 Business Administration major Robert Wu ’20 (front right), from Los Angeles, earned a $7,000 Freeman Award for Study in Asia to support studying abroad for year at Waseda University in Tokyo, Japan. 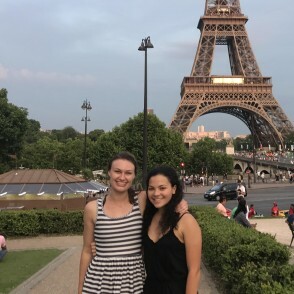 International Business major Chloe Holmes ’18 (right) used an OWU Connection Grant to study the economic and cultural importance of French local markets. 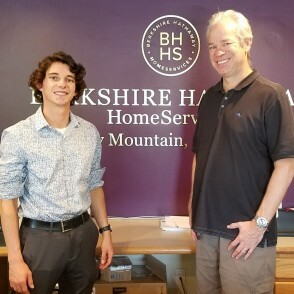 Aidan Stout '19 received Blaine Grimes Grant funds to spend a summer in Boulder, Colorado, interning with Bob Gordon '88 of Berkshire Hathaway.HomeServices. Brianna La Croix ’18 interned at ABC Studios in Burbank, California. 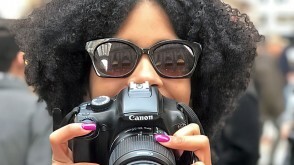 Before she even graduated, ABC hired her as a Social Media Marketing & Production Assistant. 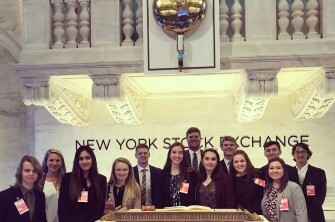 As an incoming first-year student with an interest in economics, you may apply to become an Economics Management Fellow. 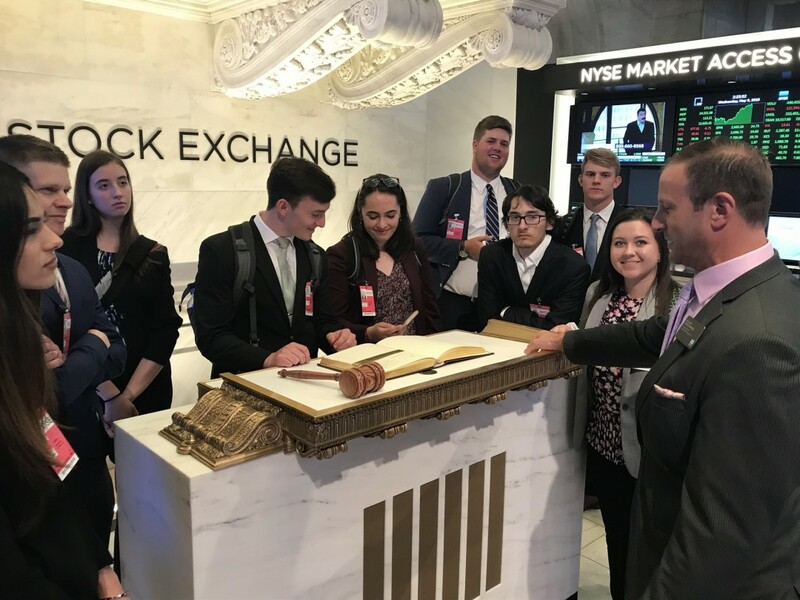 You'll benefit from special classes and seminars, a generous book allowance, networking with speakers and visitors, an expense-paid travel-learning experience in New York City, and up-close personal attention from the entire economics faculty. 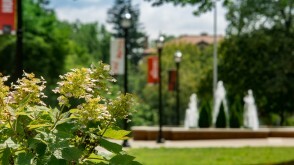 Forbes magazine ranks Ohio Wesleyan the No. 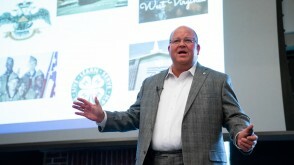 1 entrepreneurial college in Ohio - and No. 17 nationally. 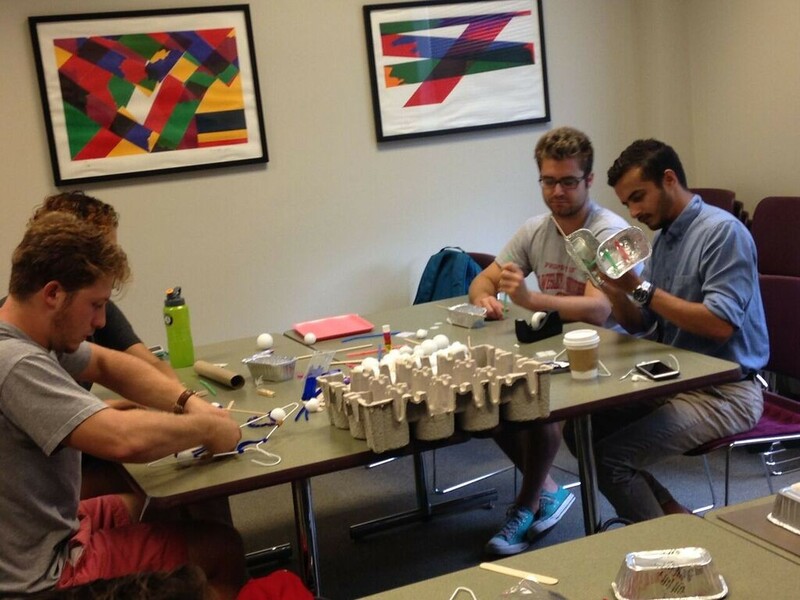 The Carol Latham Entrepreneurial Scholars Program helps students in any major develop their entrepreneurial venture. 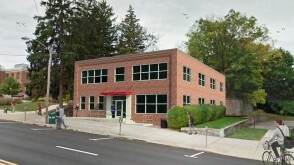 The new Delaware Entrepreneurial Center on the OWU Campus provides internship and educational opportunities for students. 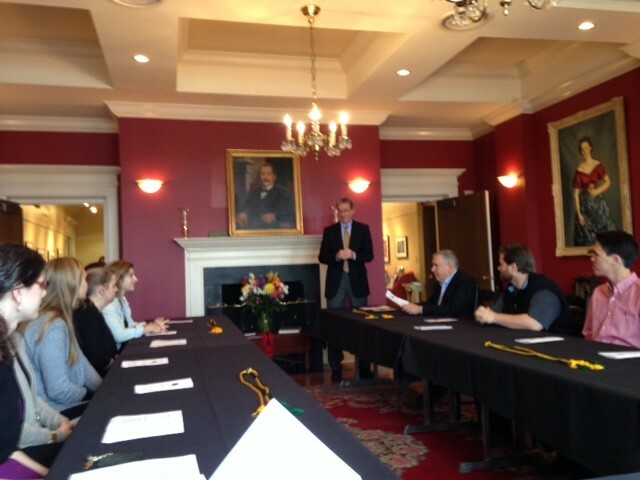 OMG, the OWU Marketing Group, is a self-led group of students interested in applied marketing. The OMG evaluates, selects, and tackles marketing projects as a marketing agency. 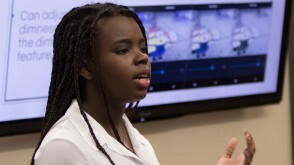 Branding, creative, and promotion work helps them prepare for marketing careers. 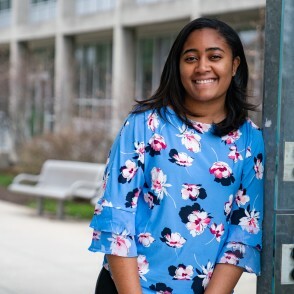 Brianna is a Social Media Marketing & Production Assistant at ABC Studios in Burbank, California. 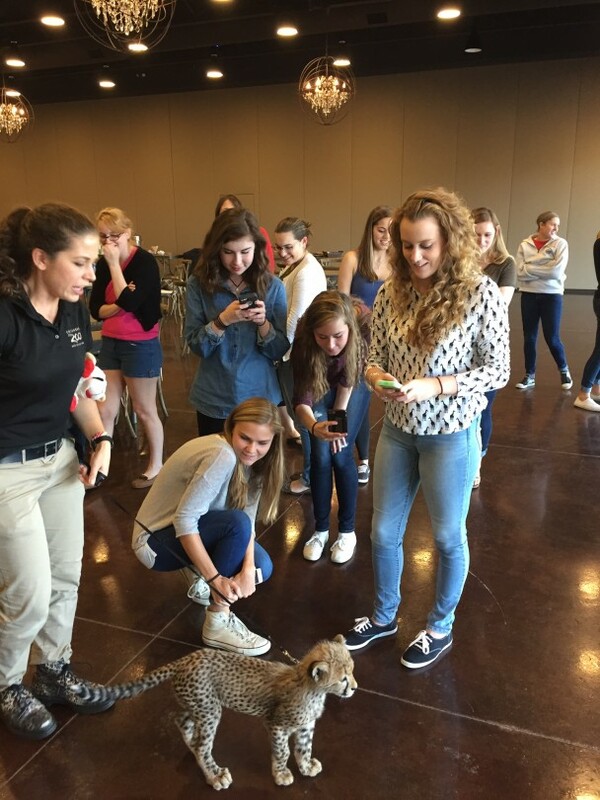 At OWU, she played volleyball, served in student government, and had an internship at ABC Studios. 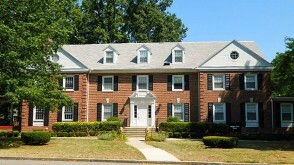 Recent Management Economics graduates have been hired at Champion Energy Services, CME Group, Deloitte, Ernst & Young, Facebook, the Federal Reserve, Hawthorne Labs, JPMorgan Chase, KPMG, Mercator MedSystems, M/I Homes, State Street Corporation, The World Bank, Thru Point, UNICEF Pacific, and many other organizations. 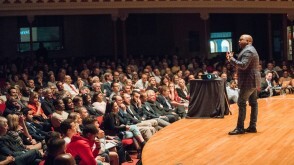 Many students and faculty are part of the American Marketing Association, a professional association for marketing professionals. By joining, our faculty and students gain access to a vast majority of marketing knowledge, training programs, leadership skills, and interaction with fellow marketers around the world. Some may earn their doctorate, but many more go on to earn an MBA, usually after working for a few years first. 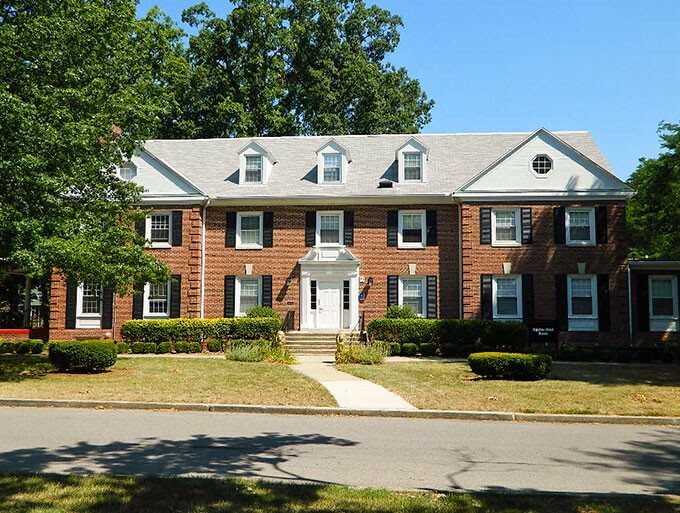 OWU alumni have been accepted into graduate programs at Harvard, Stanford, Northwestern, Wharton, Duke, Johns Hopkins, Ohio State and many other institutions. Student Liz Knowlton ’19 is already running her own candy company, Sweet Lizabella’s. 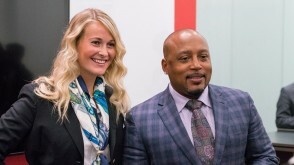 She became inspired when she was among 20 OWU students who met “Shark Tank” star Daymond John when he came to speak at OWU. 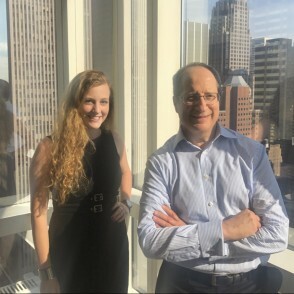 Professor and entrepreneurial expert Dan Charna has helped Liz through the process. 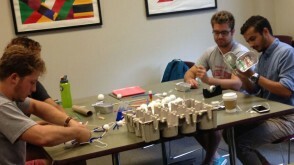 Production management in the Entrepreneurship class is hands-on. 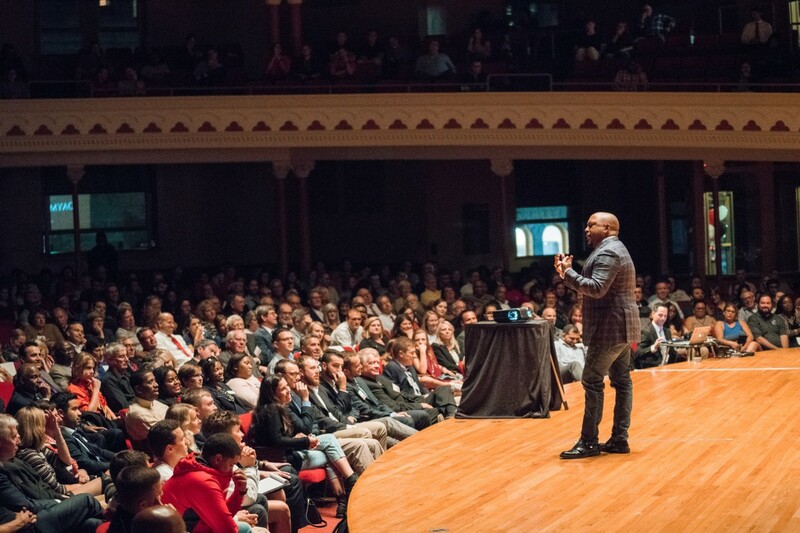 "Shark Tank" star Daymond John speaks at Gray Chapel in 2017. 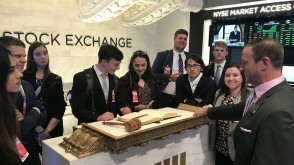 Economics Management Fellows from the Class of 2021 visit the New York Stock Exchange as part of a May 2018 trip to the Big Apple that also includes learning from more than 20 alumni. 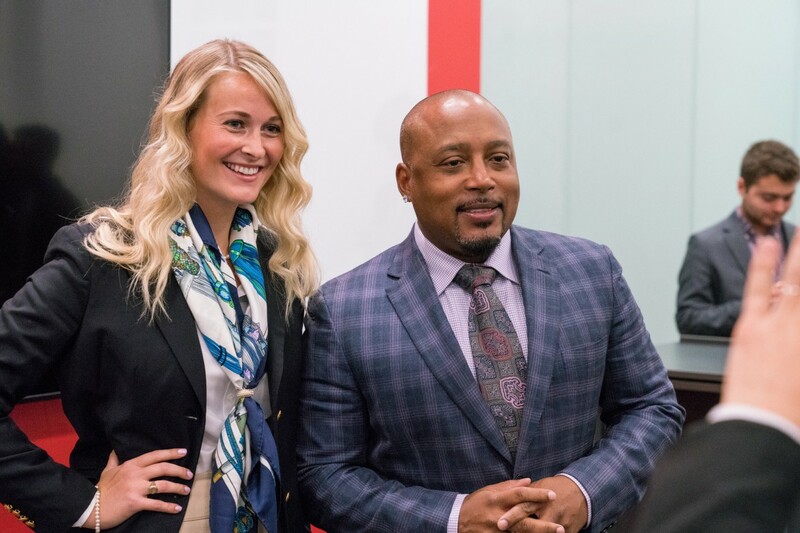 Economics major Liz Knowlton '19 was one of many OWU students who met with Daymond John during his visit to campus. The Delaware Entrepreneurial Center will open on the OWU campus in the fall of 2018, offering education and internship opportunities for students and guidance and space for entrepreneurs in the community. 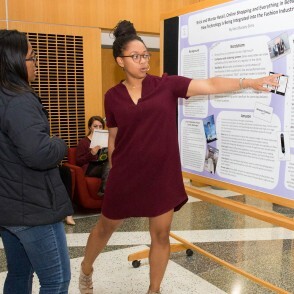 OWU's annual Student Symposium showcases student research projects from across the campus, from business and economics to the humanities to science. 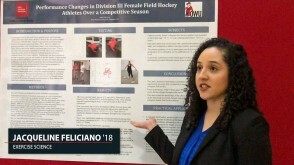 Katherine Romeo '18 makes a presentation for the Ohio Wesleyan Marketing Group. 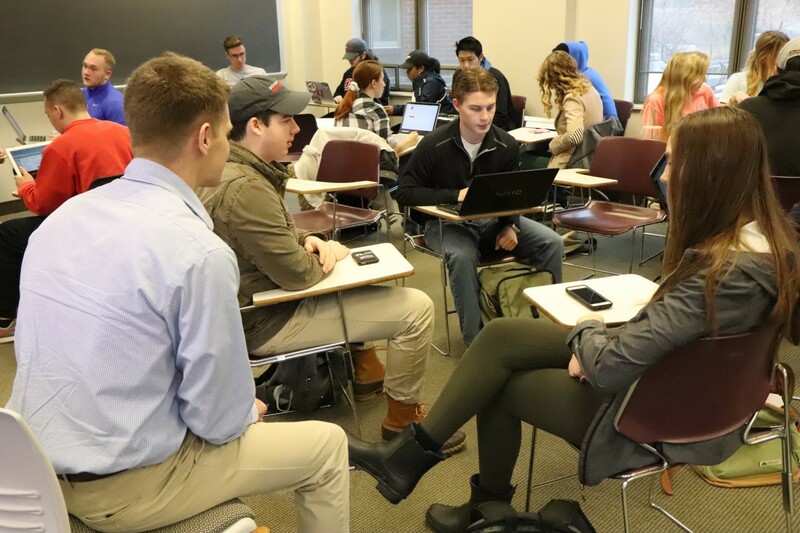 Matt Vollrath's marketing class often works in small groups. 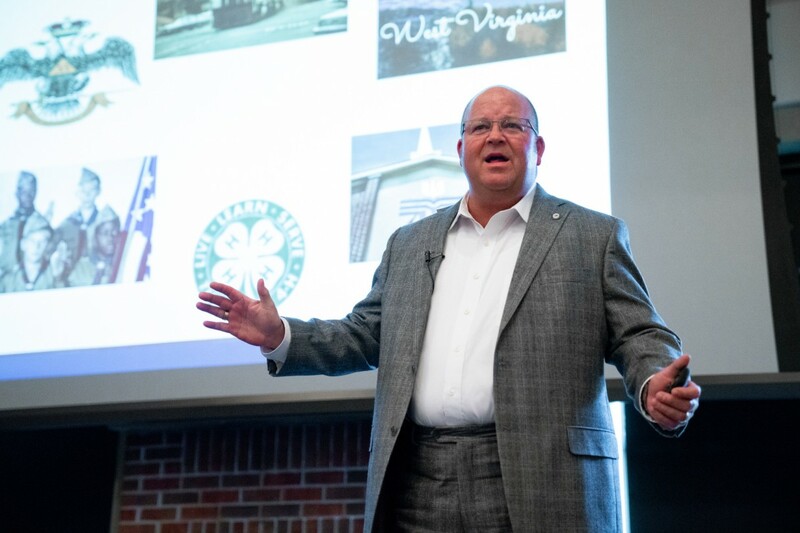 In 2018, Heartland Bank President and CEO G. Scott McComb spoke at OWU about morality in business. 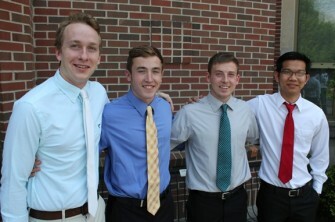 Every spring the Department inducts our top business students into Sigma Beta Delta, the international honor society for business, management, and administration. 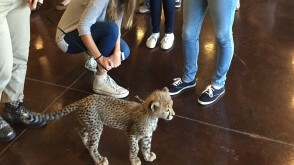 Bigelow-Reed House students visit the Columbus Zoo to learn about the business of non-profits. Professor Barbara MacLeod works with a class.